Divorce and debt typically go hand-in-hand. The interplay of bankruptcy and domestic support obligations can be complex. What follows is a brief overview of the impact a bankruptcy has on you if you are the person paying the obligation or the person receiving the support payment. 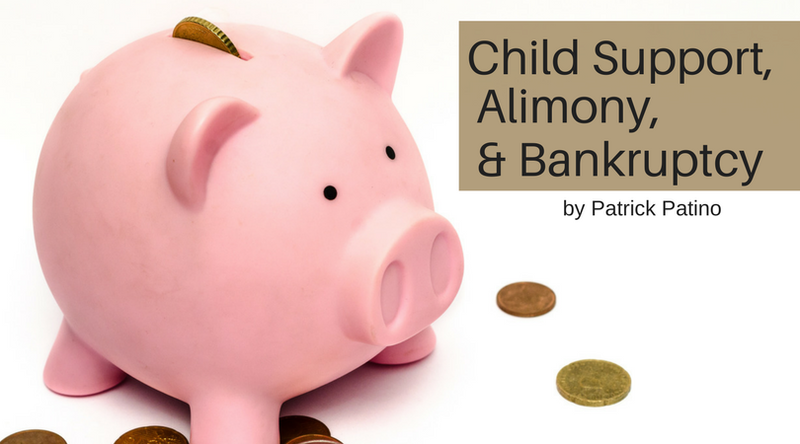 In Nebraska, you are required to list the recipient of the child support or alimony on the bankruptcy paperwork as a creditor even if you are current on making those payments. This will most likely include the individual you owe, but may also include the state agency assigned to collect the support (i.e., Nebraska Child Support Enforcement). You are required to list in the bankruptcy paperwork the amount that you are actually paying as a deduction from your wages or separately as a monthly expense. Chapter 7: You cannot discharge or eliminate your legal obligation to pay child support or alimony, including any amounts that you were behind on prior to filing your case. However, the bankruptcy court can make a determination that a property settlement is in the nature of support even if your divorce decree states otherwise. Chapter 13: In order to have your plan confirmed, you have to certify that you are current on child support and/or alimony payments. To receive your discharge at the end of the Chapter 13 bankruptcy, you have to certify that you made all required support payments during your case. If, at the time you file your Chapter 13 bankruptcy, you are behind on payments, you will be required to pay that amount in full through your plan. In a situation where you have a significant arrearage but can now pay your ongoing support obligations, a Chapter 13 bankruptcy may be your best option. Filing a bankruptcy does not stop a court proceeding to establish or modify an order for support obligations. It does not stop the collection or payment of support obligations through wage withholding. Your license can still be suspended. Your tax refund can still be intercepted. In a bankruptcy, your right to receive child support and alimony are assets that you must list in your bankruptcy paperwork. If the person obligated to pay you support owes you for back support, then you must list that as an asset as well. The Nebraska Chapter 7 and 13 Trustees appointed to oversee your bankruptcy do not consider that asset as collectible. As such, you retain that asset. You must also list the child support and alimony received as income in your bankruptcy paperwork. If you do not receive the support consistently, then you should notify your bankruptcy attorney who will make sure to include that note in your paperwork. The Koenig│Dunne team expertly deals with the intersection of divorce and debt. Contact us to today to discuss how a bankruptcy impacts your domestic support obligation today. Are you a victim of flooding in Nebraska? Our exceptional bankruptcy attorneys are here to help you with the financial distress from the flooding. You want to save more for retirement. You want to save for your kid’s college…. A Creditor Has Sued You: Now What?